Highlights from the 2018 Annual Meeting, Announcement, Meetings of Interest, Member Publications, Employment Opportunities, and Call for Papers. 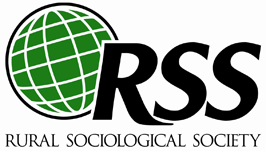 RSS eBulletin Issue 102, September 2018. Announcement, Meetings of Interest, Member Publications, Employment Opportunities, and Call for Papers. RSS eBulletin Issue 101, August 2018.